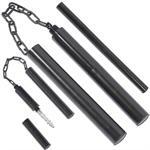 These blue foam padded dragon nunchucks will enable you to train safely and comfortably at full force.  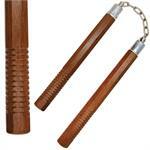 The foam padding is 1/4" thick and extends the length of each handle. 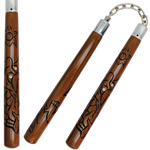 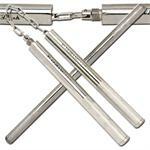 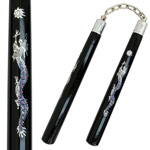 The foam dragon nunchucks have a traditional cord attachment to reduce weight.